It is no accident that many of America’s richest and most famous celebrities have been snapping up trendy loft properties left, right and center in recent years; after all, loft property with its abundant natural light, high ceilings, city views and extremely spacious feel, affords buyers one of the best and most unique living environments available. 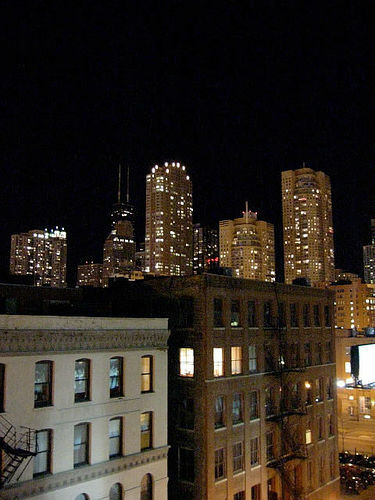 If you are looking for new or recently constructed lofts for sale in Chicago so that you and your family can enjoy this style of living then hopefully you will find the following list of currently available lofts both useful and helpful. For a first time couple/single buyer on a small budget this sunny loft property with 575 sf is a great potential buy with its low price tag of just under $174 K. The building is professionally managed and the location offers some fantastic restaurants and nightlife, particularly in the nearby Greek Town. Newly listed on the market and priced at $215 K is this tremendous 6 room loft situated in the Bridgeport area. It has a distinctive urban feel with exposed brick. It has concrete between the floor and the ceiling so it is perfect for any potential buyer who doesn’t want noise from neighbors and to enjoy music, etc at their own volume. Listed at $269.9 K this stylish loft in the sought after Lake View community area of the North of Chicago has so much to offer, not least a real taste of luxury! With a beautifully fitted granite kitchen that comes complete with a 42 inch espresso cabinetry as well as a doorman and gym access included in the building, this is a fantastic option. For more upmarket buyers the incredible loft newly listed in the Lake View area of the city is an amazing property that boasts 15′ floor-to-ceiling windows, a gigantic private deck and the highest quality fittings/installations available anywhere. It is expensive at an asking price of $685 K, however, this loft is certainly a case of you get what you pay for! At the lower end of the market in terms of price (199.9 K) this loft is definitely worth considering for anyone looking for a loft on a budget. It is fairly spacious (1050 sf ) for a loft in this price range and has an excellent average ceiling height of 13 ft. If you are looking to be blown away by an exceptional loft property that would make you the envy of all home owners across the whole of Chicago then this is one you have to see. It sits at the very top of the price scale at 1199 K and has its own range of rare luxuries including a theater room and a sauna/steam room. It was designed by the renowned Patrizio Fradiani and is a must-see if you are able to operate at this price level. This larger loft property, also in the Near West Side, offers a good amount of space (1520 sf) at a seriously competitive price ($370 K) considering the quality of the conversion. Key features include granite flooring, a stunning European walk through shower and SS Viking appliances. A tremendous loft for a family or couple looking for extra space in a tremendous metropolitan location. Situated in the West Town this stunning and completely unique renovated loft, which was once a Historic Church, simply has to be viewed. With vast space (1790 sf) including some ceilings as high as 15 ft plus granite counters, choir gallery moldings and huge rooms this represents a rare opportunity, particularly at its competitive price of $390 K.
In the diverse Avondale community area sits this splendid, spacious loft-like town home which is on the market at $199 K. Extremely spacious at 2430 sf, along with nice features like a marble foyer and slate floors, this is very well priced for what’s on offer. Just steps away from the 13 acre Oz Park, this vintage low-rise loft with sensational city views and a wood burning fireplace as the centerpiece in the living-room is on the market at $450 K, newly listed in the first week of July. In perfect move-in condition with fresh coats of paint on the wall this terrific property, set over 3 floors, is perfect for anyone looking to move in soon. At $370 K, with $34 K already taken off the asking price, it is seriously good value for any family looking to get a high-class, sophisticated loft without paying over the odds. For real traditional loft living, this great property in the South Loop area of the city is hard to beat! Priced at $329 K with 14′ timber ceilings, a beautiful kitchen in maple colors and its own private balcony with superb city views, it is definitely worth checking out. This high-rise loft apartment (7+ floors) provides spectacular views from its huge windows. Only on the market for 2 weeks as of the start of July this is likely to be snapped up fast. Has tremendous facilities within the building including a theater, bowling lanes and ping-pong. Priced at $339.9 K for 1100 sf, this is good value for the quality of loft on offer. Newly listed at $415 K, this stunning museum park loft with its incredible vistas of the city and clean, stylish interior is one of the best on the market. At 1312 sf, there is plenty of space for living and huge amount of natural light coming in from the large well-placed windows. If anyone has more lofts to add, let us know in the comments below so we can update this post.